is this info not also promitently provided in grub on live boot? Great info to know. Thank you melmarker. This PW is for what? I already don't have siduction. 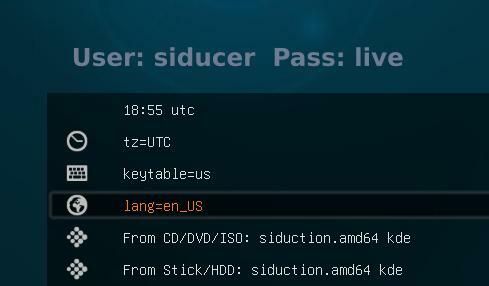 "siducer" is never used anywhere else, so it is not intuitive. user/pw combination should be so easy and intuitive as possible. Because the situation of using a live-CD is usually "exciting" somehow, be it for a new installation or some emergency (at least for me). Therefore I dont want to spend any extra time for figuring out this combination.